I put this post together in a bit of a rush, and updated it a little later. I am hoping it helps remind others of how art can help us imagine ourselves in wintry landscapes! And I would enjoy hearing your suggestions as well. Most of my suggestions are for movies: but I also note some interesting examples (and other posts I have written on these categories) of songs, animated Christmas TV specials, paintings, and photography. 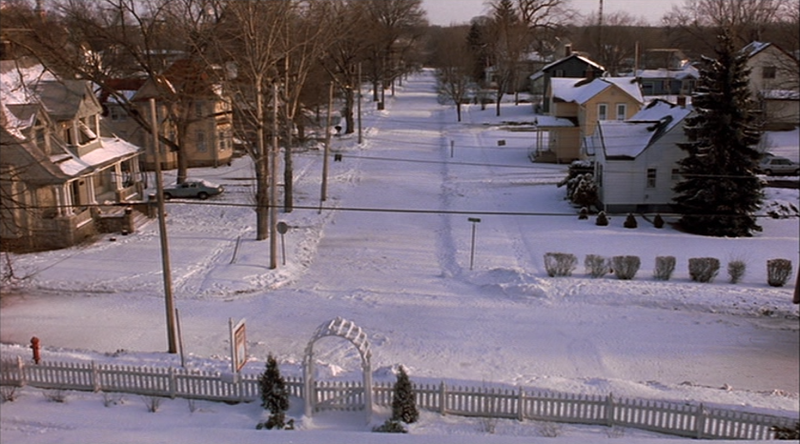 Here are some examples of movies with memorable snow scenes. 1. Atanarjuat (the Fast Runner). 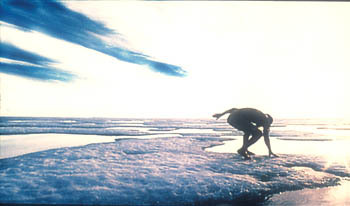 An Inuit film set around a millenium ago. Takes places entirely in the Arctic. Gives glimpses of epic conflict and adventure in the snow. But also provides an introduction to everyday life of those who lived in such climates. 2. Empire Strikes Back. The first section is set on the ice planet of Hoth. 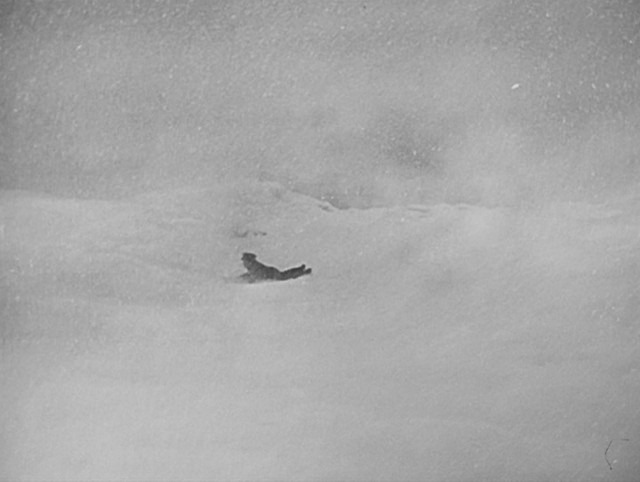 This film envisions the technology (and animals) from a galaxy far away; Han and Luke explore the bitter cold. The Hoth sequence is a pretty lengthy sequence depicting the characters in a cold world, including a base dug out of snow. 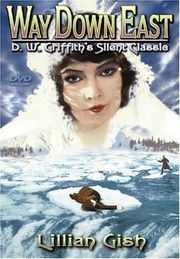 4.Way Down East (Director: D W Griffith). 1920 silent film, as melodramatic as the could make em back then… in the climax, the heroine rushes out into a stormy evening. Epic scenes take place on an icy river. 5. Groundhog Day. When the lead character explores this town – over and over – he encounters a town preparing for an outdoor festival in the snow. Ski films of the 1980s; “Better Off Dead,” for instance. “Fargo.” Bleaker portrayal of winter, but gives sense of living in the North. Provides a number of scenes of individuals surrounded by snow-covered farm fields. “Scott Pilgrim vs the World.” Set in winter in Toronto. Snow is often in the background, and is foregrounded in some nice park scenes. “Alexander Nevsky.” Classic Russian film depicts a famous battle fought in 1242 on a frozen lake. “Andy Goldsworthy: Rivers and Tides.” This artist heads out into nature, and constructs sculptures (often temporary ones) based on what he finds. Including carefully constructing out of ice. At the end of the film, that means sculpting (and playing!) with snow. “The Fellowship of the Ring.” A travel film, and that includes scenes hiking across snow. At one point, the party is forced to consider that a snowstorm may be an adversary too powerful to overcome. “Gold Rush” and “Road to Utopia.” Take your pick; Chaplin, or Hope and Crosby, caught up in prospecting for gold in Alaska. Tom Uttech, an area painter who evokes the spirit of the North Woods. for a listing of tropes used to portray winter, ice and snow in pop culture – each example is illustrated with references to a lot of examples.